102 Not out is an upcoming Indian Hindi comedy drama movie. The film is amazing the characters are might be old, but it’s an ageless fantabulous comedy film. 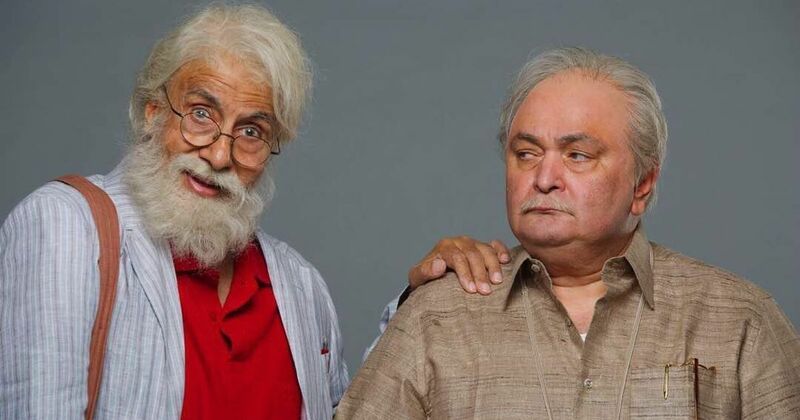 The films starring Amitabh Bachan as a centenarian a 102 year old man and Rishi kapoor as his 75 year old son. This movie marks as the screen reunion of the legends Rishi kapoor and Amitabh Bachchan (Big B) after 27 year’s. the two 90’s Super Stars are together, In this movie They are playing family members. The legends Amitabh Bachan and Rishi kapoor have been paired in many beloved and super hits together such as kabhi Kabhi, Amar Akbar Anthony, Naseeb, Coolie and Ajooba. The movie is basically based on a Gujarati play of the same name by Saumya Joshi. The movie is about centenarian man who really wants to break the world record of the oldest man alive. He wants to send his son to the “old age home” vriddha ashram. As we noticed in the trailer Big B’s dialogue ” I will be the first father in the world to send his son to “the old age home”. The movie is tagged as the most unusual love story of a father and son. the relationship between a parents and a child is unconditional, The movie has a amazing Gujarati setting, according to the play. The movie is shot all over Mumbai abd characters live in a house in Vile Parle East. So Being in 102 Not out Both stars bought back alot of fond memories and fun they shared during there younger day’s. It will be definitely delight for there fan’s.